With a few dealer options established in the vicinity of Mississauga, how can residents know which ones offer the best services and products for purchase? As part of the Pfaff Automotive Partners, Pfaff BMW has been providing superior customer service and quality made cars to the GTA and beyond for over 50 years now. We have played a critical role in uniting countless Mississauga drivers with their dream cars, and we want to work for you next. Please read on to learn how we can help you! Every month our facility puts forth great deals on our newest inventory of used vehicles for our visitors’ choosing. They have been hand picked by our expert team of knowledgeable BMW associates and discounted with you in mind. We are always obtaining high-quality, used BMWs to add to our extensive inventory, all with the sole purpose of providing the local community with the best pre-owned cars on the market. We even have great deals on the racing-oriented and supremely engineered BMW M lineup! Your old vehicle may be worth more than you think. Whether you choose to buy a new or used BMW from our facility, or not, we will extend an offer of purchase for your old car or SUV. Our expert appraisers will provide you with a fair price for acquisition, all in a pressure-free environment, so you don’t have to deal with the hassle and time commitment of selling it off yourself. Even if you decide not to buy a new BMW from us, the offer still stands. Choose to put that extra cash towards a beautifully engineered vehicle, or walk away with added value to your name. 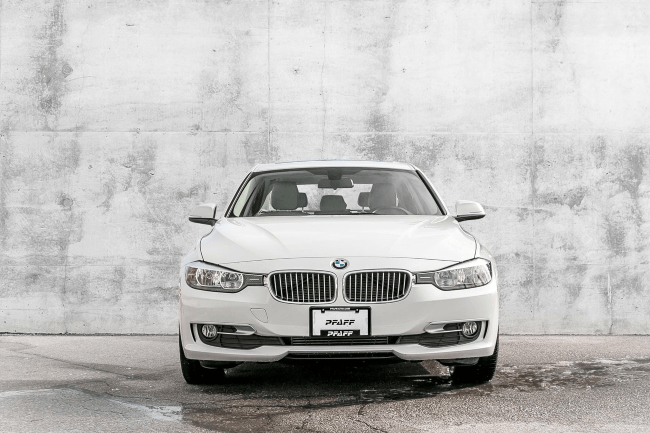 Finding a quality place to buy a pre-owned car in the local area is easy when Mississauga residents look to Pfaff BMW for all of their driving needs. We are easily found at 4505 Dixie Road, with ongoing monthly specials, and an extensive inventory of used BMWs, we have something for everyone! For more information about how you can get behind the wheel of one of our superior vehicles, please feel free to continue browsing through our website. Click here to find our contact information, fill out our contact form for further assistance, or schedule a test drive today!